With “I’ve Got Your Back” James Galvin has produced one of the most helpful resources for leadership development that have hit the marketplace in recent years. He very wisely avoided the typical textbook format here. Galvin begins by challenging some worn leadership principles that have produced what he calls Follower Abuse at the hands of incompetent, disempowering, manipulative, or toxic leaders (p. 49). He suggests that we can respond to follower abuse by avoiding leadership roles, perpetuating the cycle of abuse, hiding behind servant leadership, or developing our unique potential (p. 50. )Do we really need another leadership textbook? And perhaps more important, would we read it? Galvin asked that question early on and determined to publish a work that is both significantly helpful and eminently readable. The story he developed successfully delivers the content he wants to convey without getting buried in the pages of a textbook. Type I – Following God – which is eternal. Galvin says that we are unable to follow God fully. Type II – Following inherited authorities – which lasts a lifetime. We are required to follow them. Type III – Follow Human Beings – which is temporary. Following them is a choice. The core of his content is summarized in a few simple charts that are woven into the narrative. These charts should become part of your office decor or journal for frequent future reference. If you have ever struggled to lead well or have experienced follower abuse from those leaders in your life (and who hasn’t?) then this book is just what you need to make sense of the mess and to bring clarity to the confusion you are experiencing. Second chair leaders will find this to be very helpful as they seek to follow their first chair leaders well – even when they don’t lead so well! If you aspire to move up from the second chair you would do well to master the technique of following well before you make such a move. 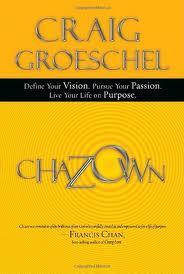 I plan to utilize this material with the men’s groups and ministry teams that I lead. You might explore tenthpowerpublishing.com/ivegotyourback for more helpful resources. I received a complimentary copy of this book for the purposes of posting a review. No expectation for a positive review was communicated or implied. 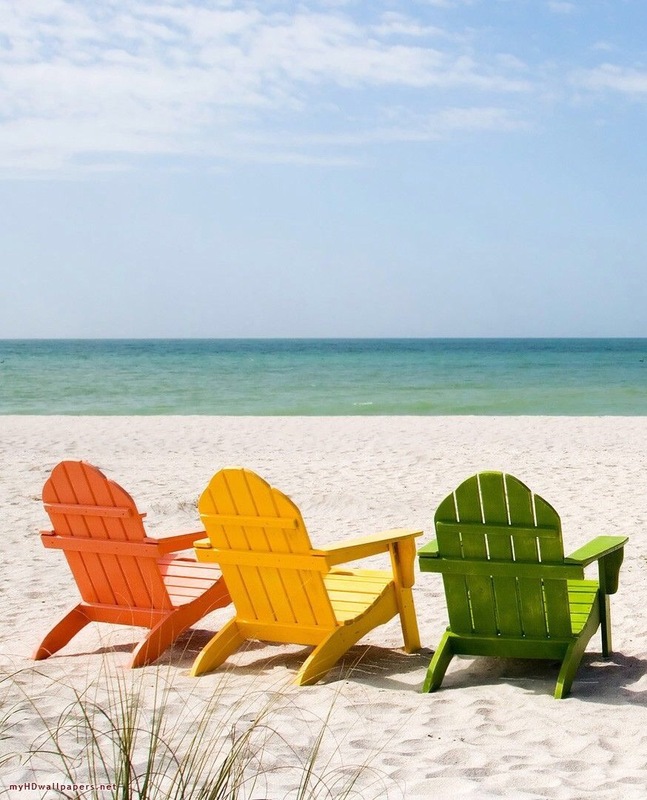 This entry was posted in church, Coaching, leadership, Second Chair Leaders, small groups on July 9, 2013 by Joe Donaldson. Every once in a while you hear about a book that someone reads every year. Screwtape Letters, Elements of Style, My Utmost for His Highest, or The Complete Calvin and Hobbs. 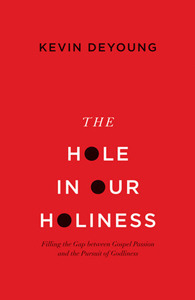 The Hole In Our Holiness will certainly make the annual reading list for thousands who take following Jesus seriously. Chapter 7 is an important and profound treatment of the doctrine of our union with Christ. This chapter alone is worth the modest price of this fine book! Here’s just one example of DeYoung’s pointed and powerful writing: “In effect God says to us, ‘Because you believe in Christ, by the Holy Spirit I have joined you to Christ. When he died, you died. When he rose, you rose. He’s in heaven, so you’re in heaven. He’s holy, so you’re holy. Your position right now, objectively and factually, is as a holy, beloved child of God, dead to sin, alive to righteousness, and seated in my holy heaven – now live like it.” (p. 105). That will preach! And it will provide great encouragement to those who struggle to live up to their calling every day. Toward the end of the book DeYoung clearly identifies the importance of personal holiness: “We think that relevance and relate-ability are the secrets to spiritual success. And yet, in truth, a dying world needs you to be with God more than it needs you to be “with it.” That’s true for me as a pastor and true for you as a mother, father, brother, sister, child, grandparent, friend, Bible study leader, computer programmer, bank teller, barista, or CEO. Your friends and family, your colleagues and kids – they don’t need you to do miracles or transform civilization. They need you to be holy.” (p. 145). It’s a short trip from holiness to legalism and we are often either very eager to make that trip or take just 1 or 2 wrong turns and end up at a destination that is not where we intended to go. What DeYoung writes in The Hole In Our Holiness can be very prescriptive and preventative in keeping us on the road to holiness. Don’t miss the last paragraph. It might be the most powerful paragraph in the entire book! As a coach and second chair leader I recommend this book to all who want their lives to reflect the reality of their union with Jesus Christ. Personally, I found this short book to be filled with balanced and accurate interpretations of what the Bible teaches on the topic of personal holiness. The thoughtful reader will find plenty of encouragement and challenging motivation from it. And if you don’t have a book that you read annually, I would encourage you to make The Hole In Our Holiness that book. This entry was posted in church, Coaching, leadership, ministry, personal growth, Second Chair Leaders, small groups, Uncategorized and tagged book review, church, coaching, discipleship, gospel, Jesus, leadership, ministry, next generation, personal growth, second chair, small groups, worship on October 8, 2012 by Joe Donaldson. 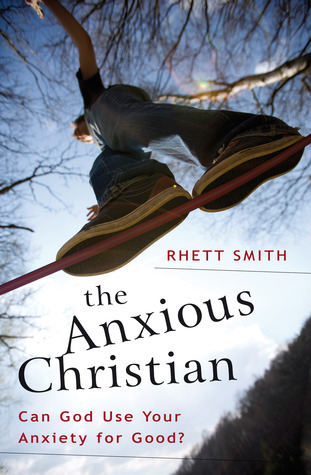 I was eager to read “the Anxious Christian” by Rhett Smith. I’ve heard him speak live and have read many of his blog posts. I think his has a lot of important and helpful things to say about faith and living whole and healthy lives – spiritually, emotionally, and physically. And beside, with Jon Acuff writing the forward you know that there had to be some witty stuff that you could use in your next blog or sermon! I also wanted to learn more about the intersection of anxiety and faith. Like you, I have a personal reason to want to learn more about how to nurture and respond to anxious people. Much of what Rhett had to say was helpful in that regard. He proposed a new way of looking at anxiety. Rather than the all-too-familiar response of well-meaning Christians that anxiety is a sign of spiritual immaturity, Rhett suggests that God may use anxiety to cause us to trust him more! His development of this concept alone is worth getting your hands on this book. There are some pretty good discussion questions at the end of each chapter that can guide the reader into taking some positive steps toward implementing helpful habits and actions in their lives. They could also be beneficial to a family our group that read the book together. A few times I felt that the material got a little too clinical but overall it was very accessible and practical. Smith focuses on anxiety that rises up from a point of embarrassment about an inability to perform or function at a certain level. (“I can’t do that! I’ll fail!” He uses his personal experience of stuttering as an example.) That is a very common point of origin but I was hoping to see something about anxiety that rises from a point of fear that something is going to go wrong that is completely out the control of the individual. (“What if something bad happens?”) I wanted to know how I can encourage that person and help give them hope. I would recommend “the Anxious Christian” for most people. You may be a teacher, a church staff member, or the spouse or parent or friend of an anxious person. Or you may be that anxious person, yourself. “the Anxious Christian” is worth the read. I found his approach and advice to be very thoughtful, balanced, and practical – something that is not easy to do with this subject. This entry was posted in church, leadership, ministry, personal growth, small groups and tagged book review, church, coaching, discipleship, gospel, marriage, ministry, personal growth, small groups on August 1, 2012 by Joe Donaldson.